General Education is the foundation of a college degree. This is what a college or university has declared that all of its graduates will know. A college degree denotes a level of learning about all subjects, not just a specific subject or vocational training. It is required by state of Utah and accrediting institutions — and it is something the university truly believes in. Why is a general education useful to me? Knowledge in a variety of fields offers you increased confidence, abilities, and career flexibility. It removes limitations of a single area of study, increases your capacity for lifelong learning, and improves your quality of life. Finally, it helps you create a framework to interpret the world, events, ideas, and your own life. Why does a college degree require courses outside of my major? What GE courses are required? There are five areas of requirements for all students. How should I choose which GE courses to take? A class required by your major also fills a GE requirement. 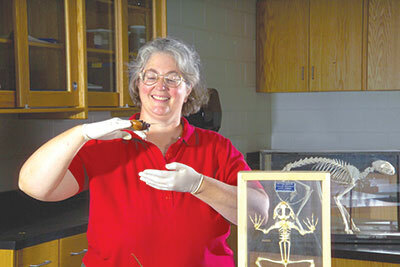 Example BIOL 1610 is required for the biology major, and also fills the Life Science requirement. Any specific GE courses are recommended for you major. Example Education majors are advised to take PHYS 1360 (Principles of Physical Science) to fulfill the GE Physical Science requirement. A specific GE course is a pre-requisite to any required courses. Example MATH 1050 fulfills the GE Math requirement and is a pre-requisite for MATH 2010, a required class in the Elementary Education major. How do I know what course will fill GE requirements? Click on [General Education Checklist] in the left hand column. Click on the prefix and number for each course to see the course description, credit hours, prerequisites, and the semesters it is taught. For your convenience, a checklist version of the current GE requirements with all of the courses that fill them is printed on the next page. When should I take my GE courses? 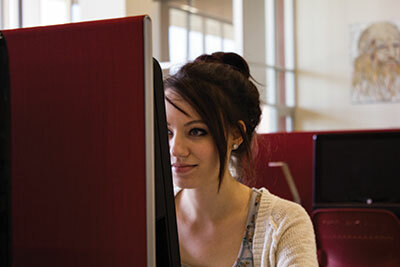 Many students choose to take a lot of GE courses in their first few semesters. This can be a good idea if you want to transfer to another college or university. However, it can create a heavy course load and may not leave room for enough exploration of courses that could lead to a major. There are benefits to spreading GE courses out over 4-6 semesters. However, it’s probably not a good idea to leave a core requirement until your last semester. Will my GE Classes Transfer? Most GE courses will transfer to public colleges and universities in Utah as well as many outside of Utah. Make sure to check with the institution that you are planning to transfer to. If you complete all of the GE requirements at DSU (minimum of 31 credits), you can get a Letter of GE Completion from Dixie State University that will fill all of the GE requirements at most Utah colleges (see list to right). Contact the Academic Advisement Center with questions or to apply for a letter. An associate degree (AA or AS) will fulfill the GE requirements for nearly all other all colleges and universities. It differs from a Letter of GE Completion because it requires 60 credits instead of only 31 credits. If you complete an associate’s degree, you won’t need a Letter of GE Completion. If you have a specific question about GE courses, contact the Academic Advisement Center or your program advisor.